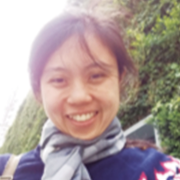 Khing Su Li joined the RSPO Secretariat in July 2017. She acts as the focal person for biodiversity, high conservation values, and remediation and compensation related issues for the RSPO. She also supports the Biodiversity and High Conservation Values Working Group. Prior to RSPO, she has worked with various non-profit organisations in biodiversity conservation programmes, community engagement for livelihood development; plant biosecurity for oil palm weeds and pests threats, climate change and climate smart agriculture , migrant workers rights and data analytics in the past 10 years. She graduated from Monash University with a double degree in Environmental Management and Biotechnology.